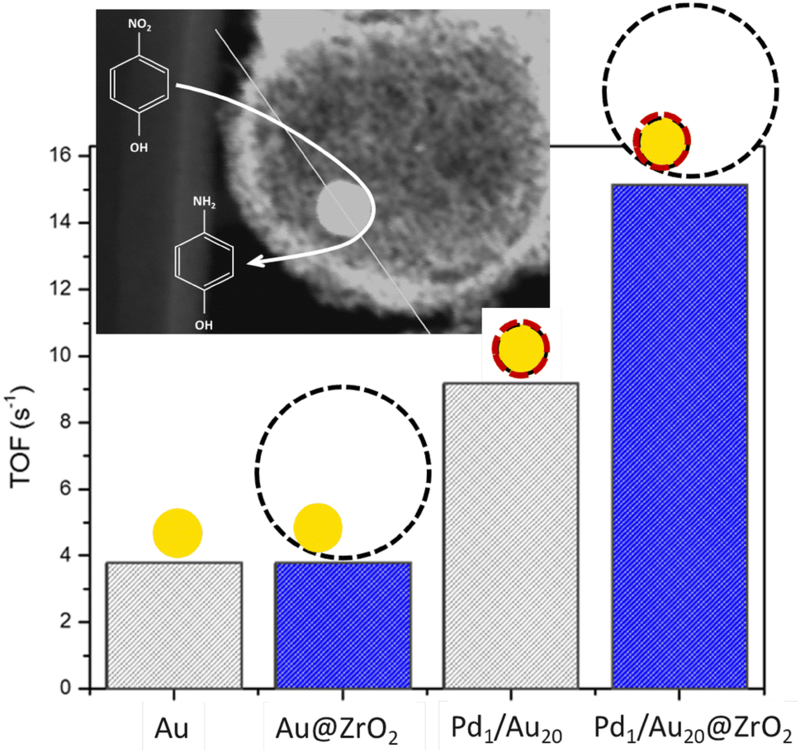 Pd1/Au20@ZrO2 nanoreactors with the gold nuclei confined within zirconia shell and decorated with Pd were synthesized using an Au:Pd molar ratio of 20:1. The presence of even trace amounts of Pd on the gold nuclei surface, significantly enhanced catalytic activity of Pd1/Au20@ZrO2 nanoreactors in the 4-nitrophenol to 4-aminophenol transformation by four times compared to Au@ZrO2. In addition, the Pd1/Au20@ZrO2 nanoreactors remained highly stable during the reaction even under harsh conditions, i.e. without nanoreactors cleaning before the subsequent catalytic run, comparable with the stability of Au@ZrO2 nanoreactors. The presently proposed synthesis technique allowed to prepare nanoreactors of uniform structure even with relatively unstable bimetallic NPs (Pd/Au) as nuclei. The online version of this article ( https://doi.org/10.1007/s10562-019-02758-y) contains supplementary material, which is available to authorized users. 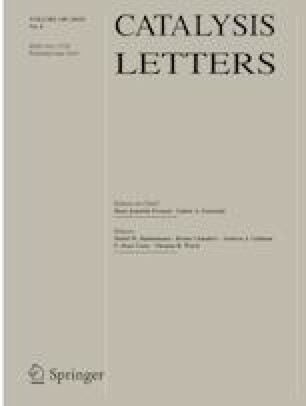 The authors thank E. Flores, P. Casillas, F. Ruiz, J. Mendoza, A.G. Rodriguez Guerrero and J. Peralta for their kind technical support, and M.I. Perez Montfort for revising the English version of the manuscript. B. Acosta thank to "Cátedras CONACYT program" (project 767). This research project was partially supported by CONACyT (Mexico) and PAPIIT-UNAM (Mexico) through grants 179619, 203117, respectively, SENER-CONACyT (México) 117373, and UASLP (Grant No. C18-FAI-05-01.01, Project 288080072).